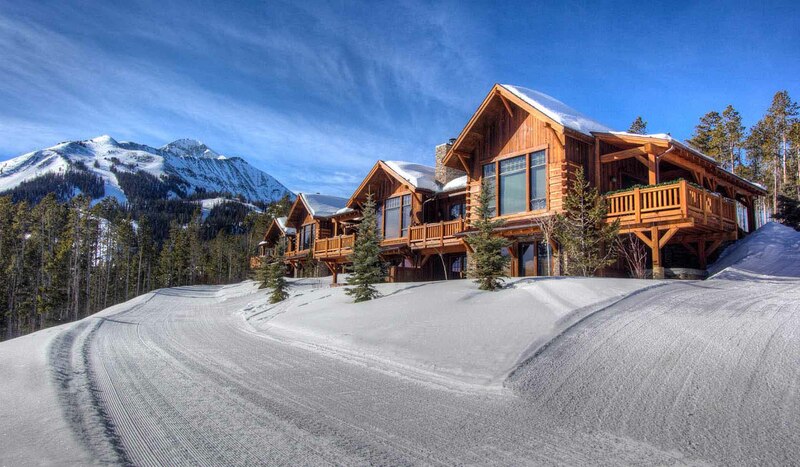 Alpine Meadows Luxury Suites are unmatched in their spectacular panoramic views of the Big Sky area and luxurious furnishings. These luxury suites offer year-round fun for the whole family and redefine convenience with direct ski in/ski out access to Big Sky Resort. The suite offers 4 bedrooms, each with luxurious private bathrooms, and an additional half bath. Three of the bedrooms are located downstairs, giving them access to the hot tub. One bedroom downstairs as well as the main bedroom provide a king bed and a gas burning fireplace for premium relaxation. The main level bedroom also enjoys fabulous views from a private deck. The other downstairs bedrooms offer a queen bed and two twin beds respectively. For your entertainment when you're not enjoying the beautiful slopes, the living room boasts a smart TV, DVD player, a Wii console, and an iPod dock for playing your favorite music throughout the suite. There is also a wood burning fireplace for comfortable evening gatherings. A deck off the suite provides access to the hot tub as well as a gas grill. There is also a laundry room for your convenience.